Nikita Alexsandr Reznikov was taken in by the State Department on tonight’s all-new episode of “NCIS: Los Angeles”. The former KGB spy had been residing in LA in order to be closer to his two kids and grandson, but the State Department had been content to look the other way until they decided to trade their former KGB operative for two Americans. The Americans were a married couple traveling through Iran who unfortunately gotten detained when the Iranian government mistook them for spies. They thought the Tylers were CIA agents that were spying on their nuclear program when in fact the couple was merely photographers. They went to the country to take a couple of photos and were later detained without questioning or anything resembling due process. And therefore the Americans didn’t believe they would ever going to get these two people out of Iran. The Iranian government was not known for their negotiations and so it had come as a surprise when they suddenly said that they were. The Iranians reached out to the United States and had agreed to exchange the harmless couple for Nikita, so the Americans willing agreed to this despite what they knew. They knew that the Iranians only wanted Nikita because they had to hand him over to the Russians to keep their latest shipment of Russian missiles and that the Russians had one purpose for wanting Nikita back. The Russians wanted him back because Palov Volkoff was running things now and he wanted his chance to kill Nikita. He has been trying to get Nikita for a long time and the Iranians had simply given him the opportunity. Everything about this exchange was wrong on so many levels however no one cared about what happened to Nikita until his children put up a fuss. He was taken from his daughter’s Alex home right in front of her son who loved his grandfather and her brother Callen happened to have been there as well. He had been over at Alex’s enjoying family time and he hadn’t wanted anyone to ruin that. Not even his own government! So Callen had tried reaching out to his contacts to find out what was going on and after he learned everything he then did his best to stop it. He asked Hetty for favors and had even gone to Mosley only neither could help. They both got the same answer about this order coming from the Executive office and that meant they couldn’t go against it. They would have been committing treason if they went against the order or tried to stop the exchange and that hadn’t mattered to Callen or his team. They all knew what was happening to Nikita was wrong and so they tried to stop it. They had Hetty provide them with a cover while they tried to figure out a plan and everyone agreed to go behind Mosely’s back. She couldn’t afford another mark against her for helping them before and so they worked with Hetty to keep her out of the loop yet the plan they eventually came up wasn’t that great. Callen knew they couldn’t break into Iran to rescue the Tylers, that they couldn’t fake his father’s death, and so he came up with a plan of handing over someone else. Callen figured that Volkoff wasn’t the only one with pull. He knew that the Russian government was in and the same with the mafia and so he knew they would love Anatoli Kirkin. Kirkin had burned several bridges when he left and his enemies out-stripped Nikita’s, but Deeks for one hadn’t felt comfortable about turning Kirkin over. Kirkin had a massive crush on him and so they bonded over that. He hadn’t wanted to send Kirkin to his death and he was the only person that had qualms about doing so. The others were all following Callen’s lead and Callen said that Kirkin wasn’t a good guy. He was a criminal that had killed people and so Callen pursued the plan. He reached out to the Russian mafia in the area and they had a lead. The mafia had kidnapped Kirkin’s boyfriend and was torturing him for information on Kirkin though he wouldn’t give up his boyfriend and so the team rescued the boyfriend while locating Kirkin on their own. They found him through his doctor and picked him up at his other boyfriend’s mansion. He had been living like a king on the latest’s money and was doing just fine until the team found him. They had tried taking him in and had instead led the mafia right to him, so there were a shooting and Kirkin managed to get away. The team could have looked for him again except they were running out of the time and so Callen had used what little time he had to race to his father’s side. Callen was going to sneak out Nikita when the guards weren’t looking and would have done it if his father hadn’t told him “no”. Nikita said the Tylers had kids of their own that were missing them and that he couldn’t let them be punished for what how he lived his life. He also said that he had his time and so he wasn’t going to fight the exchange. 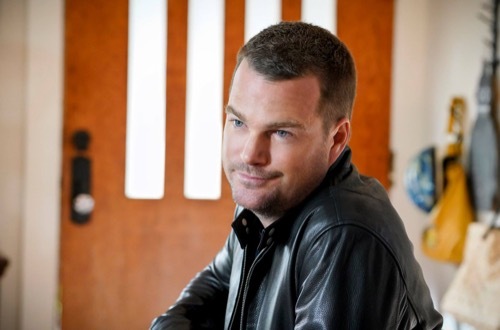 Nikita was going to go back to Russia and he told Callen that he survived once that he could easily survive again. But letting go had been hard. Callen and Alex later followed Nikita all the way to the exchange and Callen was the only one that could actually say goodbye. His sister just couldn’t do it and Nikita understood why, so he told Callen to watch over his sister and nephew and had kissed Callen goodbye. Callen hadn’t wanted things to end like that and had thought Mosley would fire him except she chose not to and she had other things to worry about. Kirkin had gotten away from the team only to come back on the radar as the new leader of the Russian mob in LA because he bought his new position with the money he had been stealing from his latest boyfriend.